Special moments mean gifting, isn’t it? It’s so much fun to be inundated with beautiful gifts. Gifting your woman is satisfying, as that would bring a smile to her face and joy to her heart. More so if the gifts are pricey and appropriate. Though expensive gifts are enough to make a woman’s heart throb, careful thought and proper planning is important while choosing what is right for her. Here are the five most expensive gifts, a worthy of saying that you more than care! Watches are a perfect choice, be it as formal, corporate or personal gifts. Contemporary designer ones or daintily jeweled ones, there are a wide variety of them in different brand segments to suit the buyer’s requirements. 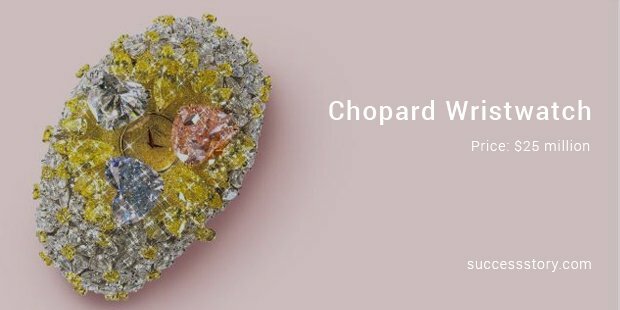 The Chopard Wristwatch is ideal for a lady with great style and personality. The watch is adorned with three heart shaped diamonds - a 15 carat pink diamond, a 12 carat blue and 11 carat white diamond. The price tag makes it look classy and it ranks among one of the most coveted gifts for a woman. Jewelry is always the best gift that strikes a chord among women, as it adds glitter and bling. Diamonds come first in the subject of jewelry as they are ever hot favorites. 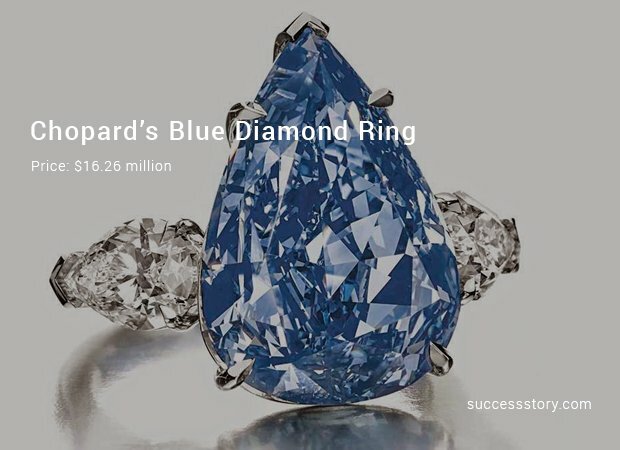 The beautiful Chopard ring has blue diamonds and forms a great fashion statement. The blue oval shaped diamond ring has an eternal beauty and is timelessly worn with a pricey attire. Perfumes are equally popular with both men and women and have a hint of intimacy. The right perfume which goes with an individual makes a statement of sorts. 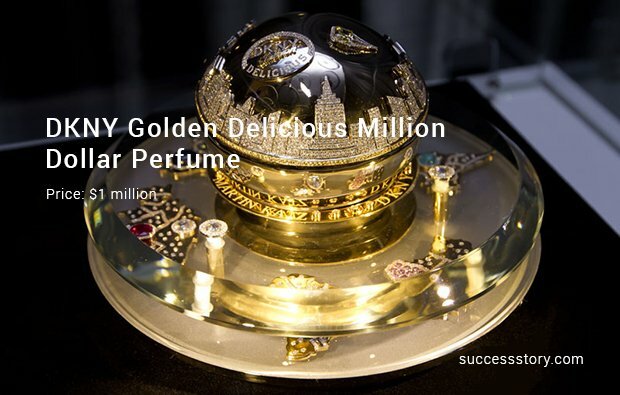 The super pricey DKNY Golden Delicious Million Dollar perfume is not just a luxury statement. The fragrance gives a vivacious flowery feel. The heady scented egg shaped container is embellished with 2090 precious stones ranging from diamonds to sapphires. This apple and sandalwood scented perfume is deigned to charm your woman without fail. Kitchen is a woman’s personal space. If you make her feel special adding a touch of elegance here, then she will love you for life. 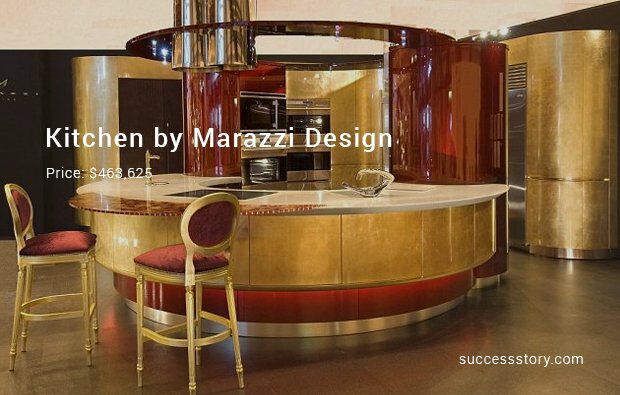 This luxury kitchen brings a plethora of super expensive equipment with perfect color scheme. If she loves and collects jewelry, why wait for a closet which will remain as a safe? Indulge in a Kusama designer bag which makes for a useful choice. 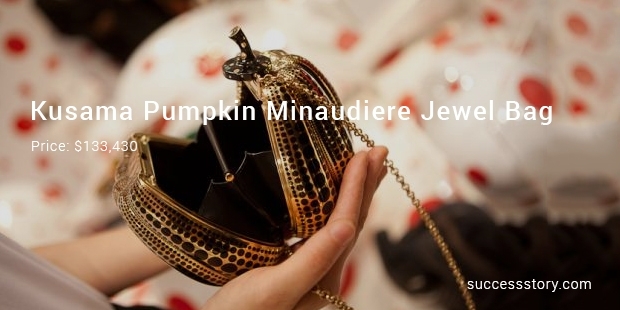 This flamboyant bag is embellished with gold, black resin and finest metal. Dresses are ever favorite gift option for the ladies. Right brand, color and style will strike the right chord with your woman. So if you are searching for that pricey dress, the artistic and gorgeous mint green gown from Valentino is a sure shot hit. And what’s more? This dress was worn by the Titanic star Kate Winslet. That holds a special place for this attire.